Our seating furniture offers support for your back and legs. Most of our seating furniture comes with height and arm adjustment. Our seating furniture it won’t feel like you’ve been sitting on concrete. You can buy new or pre-owned seating furniture. Our seating furniture comes with heavy duty finishes. And you’ll get lumbar support for those long meetings. Business owners enjoy the selection of high back chairs, ergonomic chairs and reception seating. Pick the seating furniture you need at Northwest Modular Systems Furniture. Seating with poor lumbar support may cause low back pain. Stop squirming in your seat with new seating furniture. We carry seating furniture preferred by business owners and their staff. 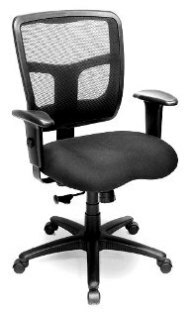 The Professional Matrix Chair has height adjustable arms with PU pads. Visitors will thank you for buying the Deluxe Mid Back Leather Visitors Chairs. This new seating furniture offers comfortable top grain leather for seating. 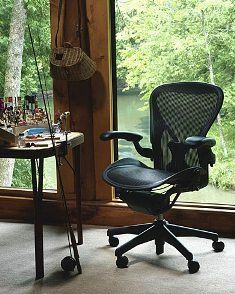 The built-in lumbar support lets them sit without constant low back pain. Combine style and lumbar support with our new seating furniture. Even our new seating furniture is affordable. But if you can’t find seating that fits your budget a more affordable option is available. Visit and view our pre-owned seating furniture. You’ll get the same benefits as our new seating selections. They’ll be able to sit longer and not be distracted by leg and low back pain. Choose from the many styles, colors and designs we offer. With pre-owned seating furniture you can stock your business with affordable and comfortable seating.